If I paint a milk bottle red, does this mean I have “deconstructed” it? 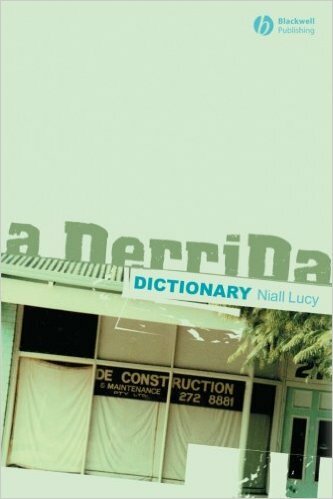 This is an example of deconstruction provided by Niall Lucy in A Derrida Dictionary and it makes a good starting point for us to discuss deconstruction. According to Lucy, the painted bottle has a different appearance than the original. This simple change in appearance does not deconstruct the milk bottle as a milk bottle. However, painting a milk bottle red can become deconstructive when taking into consideration its context. If the bottle’s colorlessness was taken for granted by people as the default nature of milk bottles, painting it red deconstructs this prevailing perception. Painting a milk bottle red can be both deconstructive and not at the same time, which is quite complex by itself. The complexity of deconstruction, however, is still far beyond this. First of all, it is difficult to define deconstruction. 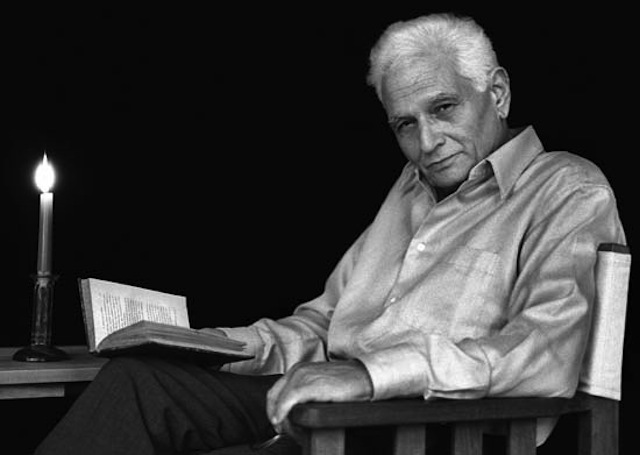 As the originator of deconstruction, Derrida published more than forty books and hundreds of articles through his life, but he failed to give deconstruction an authoritative definition. One obstacle for this is that deconstruction actively criticizes the very language needed to explain it. Language structure has already been the target for deconstruction to argue against, which shuts down the possibility of defining deconstruction with language. Another interesting feature of deconstruction is that it refuses an essence. 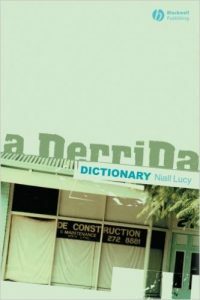 Derrida writes, there is nothing that could be said to be essential to deconstruction in its differential relations with other words. In other words, deconstruction has to be understood in context. This kind of fluidity also prevents the possibility of defining deconstruction. Since deconstruction lacks a fixed definition, grasping its characteristics is an essential way to help understand the concept. On one side, deconstruction begins from a refusal of the authority or determining power of every “is,” or simply from a refusal of authority in general. This helps explain the deconstructive meaning for the milk bottle. Painting the milk bottle red is revolutionary in the sense that it demonstrates the non-essentialness of what a milk bottle “is.” On the other side, Derrida also writes, “Deconstruction takes place. It is an event that does not await the deliberation, consciousness, or organization of a subject, or even of modernity.” If things are deconstructible, they are deconstructible already — as things. This means the deconstruction has already been there even before Derrida created the theory of deconstruction. Another potential route to understanding deconstruction is to figure out what it is not, which has been summarized at length by Derrida himself. First, deconstruction is not reducible to an attitude of nonconformity, oppositionality, or principled resistance. All of these actions imply the risk of unconsciously reproducing the original structure. Lucy writes, “If I wear nail polish, I won’t have deconstructed my sexuality. If I vote conservative in protest at the failures of the parliamentary left, I won’t have deconstructed politics.” In addition, deconstruction is not a form of critique. It is not a method or a theory. It is not a discourse or an operation. It’s not that deconstruction prefers or chooses to deconstruct a thing. In other words, it is impossible to apply deconstruction, for deconstruction has already been there. The most mysterious part of deconstruction is why it has such great influence on humanities and social sciences, but itself is not a method or a theory. Since the 1980s deconstruction has designated a range of theoretical enterprises in law, anthropology, historiography, linguistics, sociolinguistics, psychoanalysis, political theory, feminism, and LGBT studies. It even influences architecture, music, art and art criticism. The great influence of deconstruction may lie in its revolutionary explanation of the world, society, and the knowledge. Derrida claimed that deconstruction was not a theory or a method, but it has been turned into a theory and a method. At the root of this method is Derrida’s concept of the reciprocity of signs. Derrida states, “From the moment that there is meaning there are nothing but signs. We think only in signs.” Any given concept is constituted in terms of its reciprocal delimitation. And it is a violent hierarchy that we are dealing with in a classical philosophical opposition. One of the two terms always governs the other, for example, speech over writing. The first task of deconstruction is to find and overturn these oppositions inside a text or a corpus of texts. Deconstruction also marks their difference and the eternal interplay between the concepts in opposition. These specific tasks allow deconstruction the possibility of constantly contributing post-structuralism and postmodern philosophy without an obvious definition. When we are talking about deconstruction, it is certainly much more complicated than painting milk bottles red. But Derrida started the journey for a lot of academic fields to find the deconstructive meanings even in minor actions like painting the milk bottle red.